Produktinformationen "EZ-Stik Hot 3D Printer Build Surface"
Take your 3D Printing to the next level. The Advanced Coating Technology in EZ-Stik Hot provides maximum adhesion when heated to prevent warping and easy part removal when cooled. Simple cut your EZ-Stik surface to size with standard scissors then use the peel and stick adhesive backing to attach to your build platform. Work with ABS, PLA, PETG, Nylon, Composites and more! 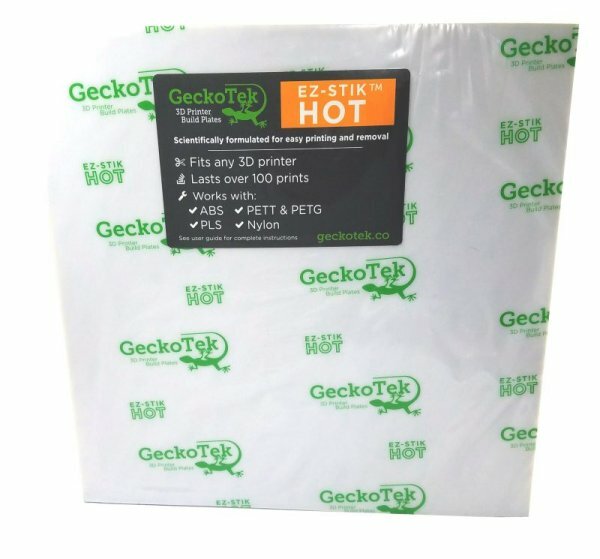 Weiterführende Links zu "EZ-Stik Hot 3D Printer Build Surface"
Kundenbewertungen für "EZ-Stik Hot 3D Printer Build Surface"